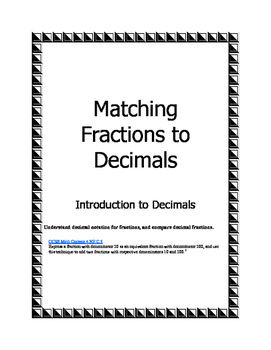 This contains 5-pages of matching fractions to decimals using tenths and hundredths. 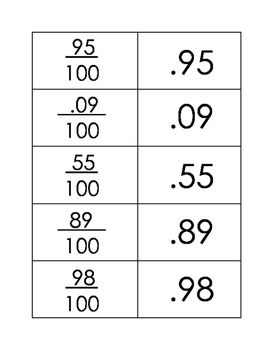 Teacher cuts out fraction and decimal cards. Students match the cards. 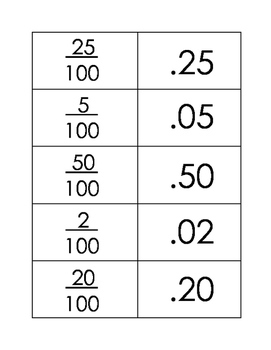 Students can be given one sheet to match at a time or groups can work together in stations to match the fractions to decimals. 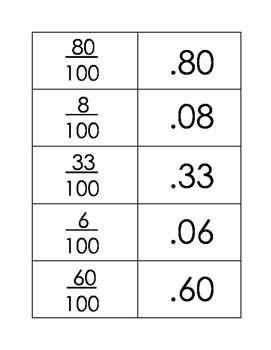 They can also be used as flash cards to help students read fractions and decimals properly.